Aw, sugar. Aw, honey, honey … Yeah, straight sugar’s great, but caramelized and married with reduced vinegar? It’s a wonderful thing. Behold the power of reduction. Maybe when you hear the word “reduction,” you think of demi-glace and thick, creamy sauces. That’s fair. 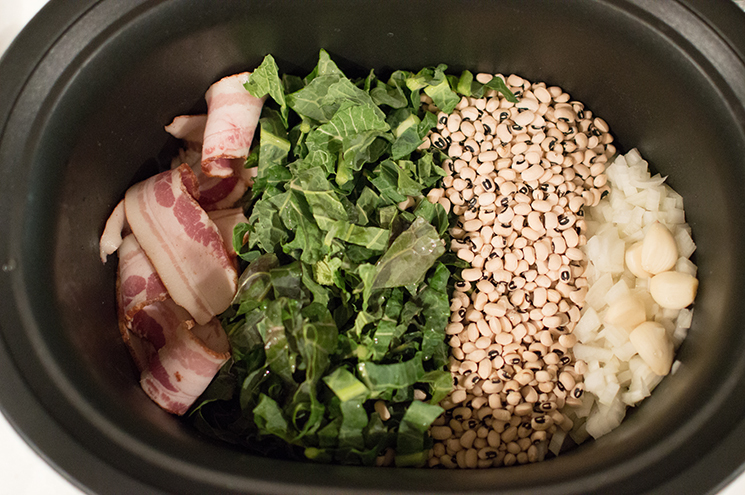 But no matter what you’re reducing, it’s all about concentrating flavors. And one of my favorite examples of concentrated flavors is a gastrique, or agrodolce if you prefer to try the Italian version. Sweet and sour, that’s all. But somehow caramelized sweet and subtle sour can turn a dish into something so much more. 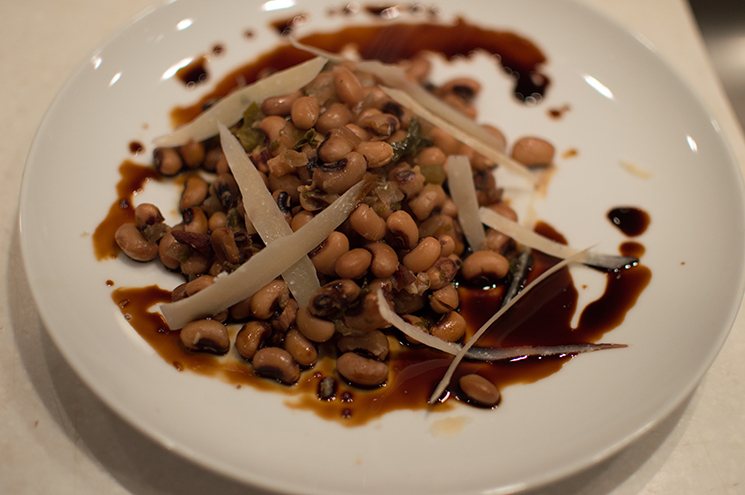 A little vinegar, a little sugar and a little imagination can take this sauce from simple to superb. 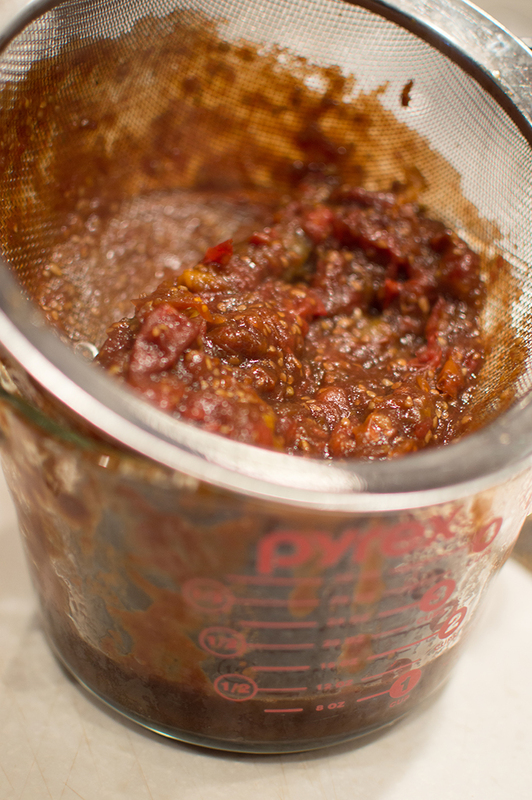 There are a lot of ways to make a gastrique. You can reduce all the ingredients together, but I prefer to make a caramel, then deglaze with my acid. Instead of using sugar and vinegar, what about honey and white wine, infused with lavender? Bring 1 cup of white wine and 1 tablespoon lavender to a simmer over medium heat. 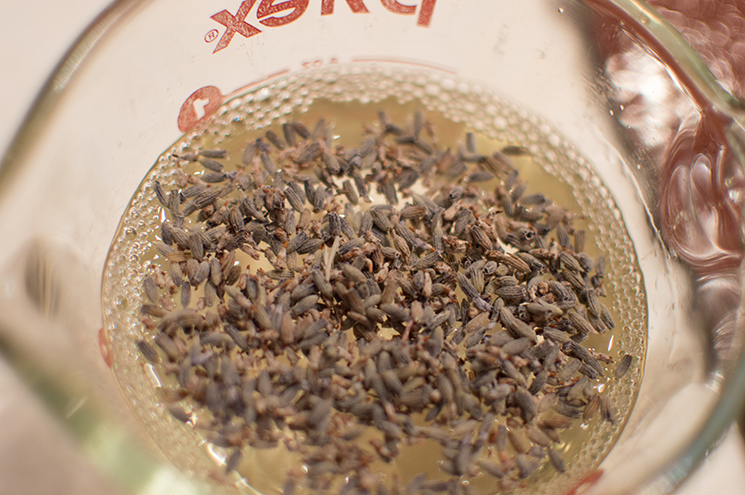 Reduce by half, then strain out the lavender. 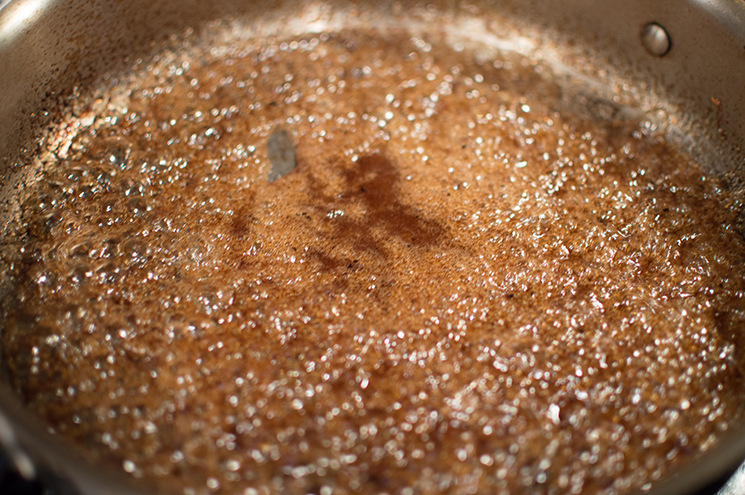 In a shallow pan, heat the honey over medium high until bubbling around the edges and beginning to turn color. Add the reduced wine and whisk until smooth. Continue to reduce until the mixture is thick enough to coat the back of a spoon. 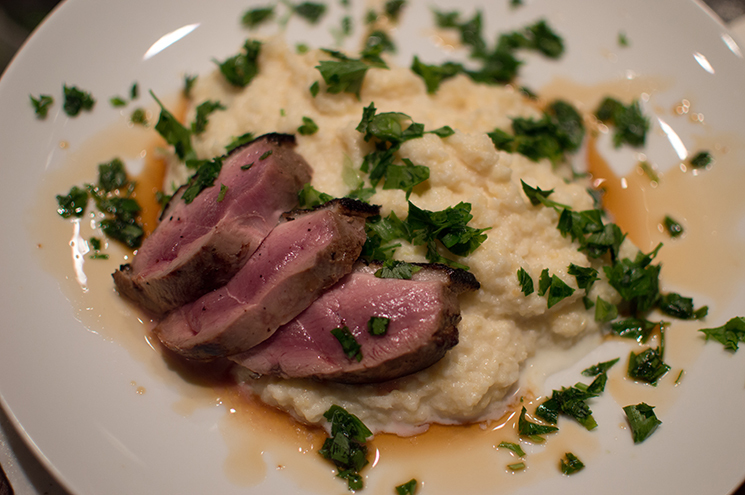 This one is great over seared duck breast, but also works well with lamb or chicken. Start with 1/4 cup white sugar and 2 tablespoons soy sauce. Melt sugar mixture with soy over medium heat in a sauté pan. Do not stir. 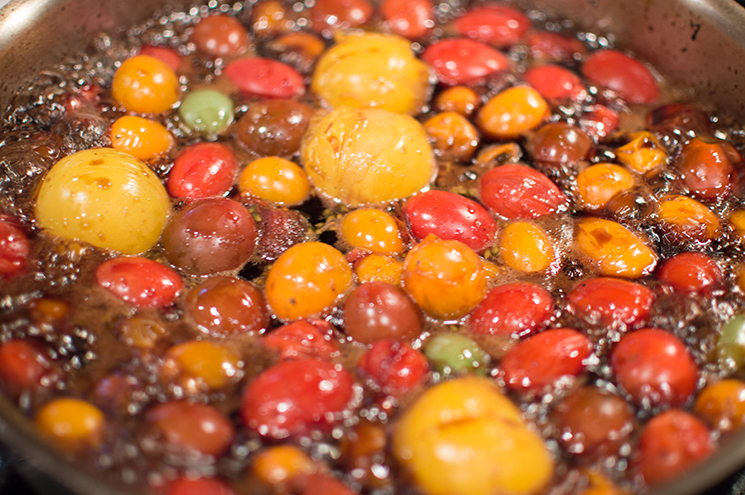 Once caramelized, add in 1/2 cup balsamic vinegar and 2 cups cherry tomatoes. 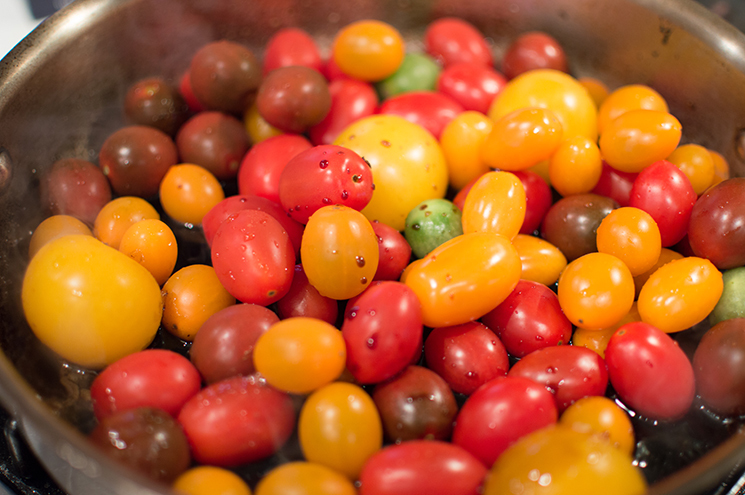 Reduce until tomatoes burst and mixture thickens enough to coat the back of a spoon. 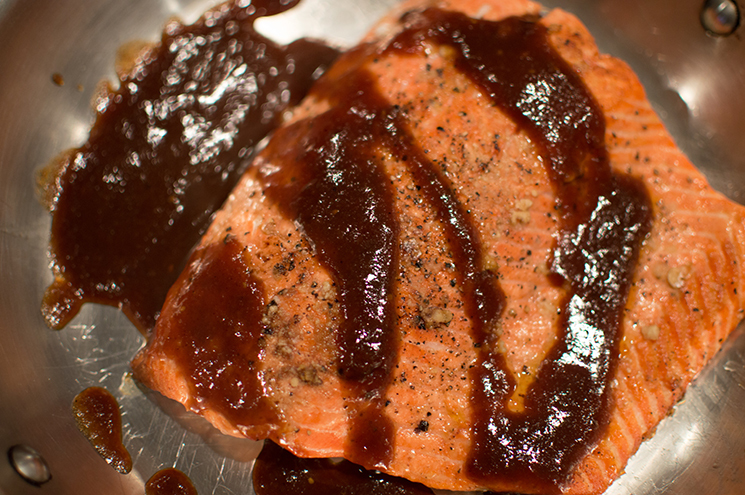 This one is great over salmon, but the barbecue sauce feel means it plays nice with chicken, pork and beef as well. The last one is the easiest. 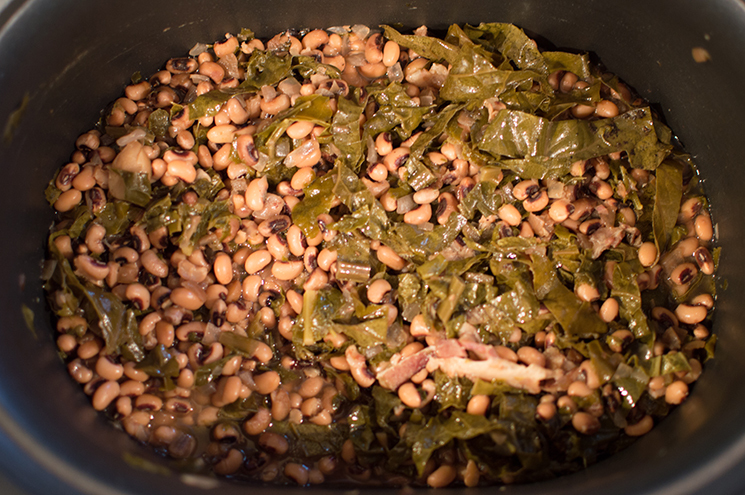 Blackeyed peas with collards and bacon are a little heavy. A little acid at the end perks them right up. To give the cooked mixture a bit of depth and acid at the same time, how about molasses and apple cider vinegar? 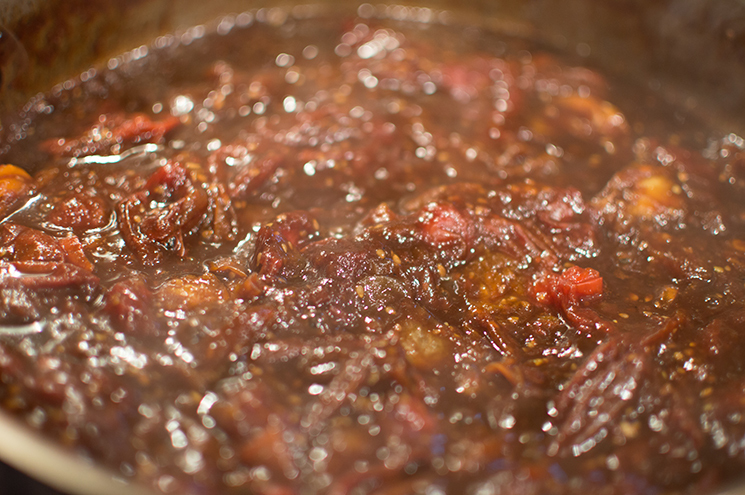 The molasses doesn’t need any additional caramelization, so just take 1/4 cup and warm it up, then whisk in a couple of tablespoons of cider vinegar (or just apple cider). And a little shaving of Parmesan never hurts. Reduction. The quickest, easiest way to beautiful, concentrated flavors. And the possibilities are endless.